Several Hundred Apps are there in the App Store to recover or track your lost iPhone, But What if you accidentally lost your MacBook or Mac? Well, there’s are an app for everything nowadays, and this app is the ultimate solution for this problem. So, here is the full Review of TrackMyMac App. I recently discovered this app when one of my friends left his MacBook Air in the Cafeteria by mistake and eventually lost it. It is always disappointing to lose something, and it becomes worse when the thing is such expensive, and you can’t track or recover it. Few days after this incident I found TrackMyMac on the App Store and immediately downloaded it for my MacBook Pro and configured it with my iPhone 6. The is incredible and works seamlessly with any Mac device and has amazing features which I’ll discuss later. 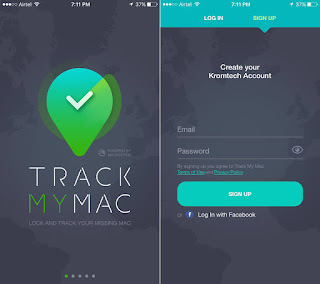 TrackMyMac is an iOS app and is developed by Kromtech Alliance, who design and develop high productivity tools for security, tracking for major Apple Devices. Screenlock & Remote Feature: - If your device is at a distant location and you forgot to lock your device, then you can quickly lock and unlock your Mac with the App from anywhere. Track Unauthorized Access: - The app instantly creates a report and clicks the picture of the person when someone tries to unlock the device. It also works when someone enters the wrong password. Easily Locate Your Device: - TrackMyMac allows you to find your laptop easily if it has been lost or stolen by someone. You can also the real time location if you have enabled the GPS and location services active in both your Mac & iOS device. Monitor Multiple Mac: - With easy integration and setup, you can track multiple Mac devices with your iPhone. You can also access the locations with other devices such as iPod, iPad as the app is super compatible. The concept of the app is fabulous and is extremely recommended to people who travel a lot with their MacBook or simply want to increase the security of their devices. It also acts as a control through which you can lock your Mac remotely if you have left it unlocked. TrackMyMac easily integrates with your devices and can be downloaded from the App Store. TrackMyMac requires iOS 8 or later and can be downloaded on iPhone, iPod Touch, and iPad. 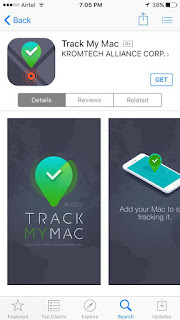 TrackMyMac is a robust, efficient and security oriented Anti-Theft App, which gives the access to one’s Mac to his Mobile Device. 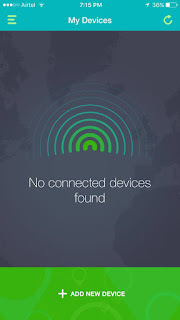 You can easily track and report your device’s real-time location. So, whenever someone tries to access the laptop and if it is connected with The Internet, you will get an alert instantly on your phone and a photo (similar to iSight) of whoever would be standing in the front of the device. The App is compatible with every mobile device like iPhone, iPad or iPod so you can quickly lock and track your Mac from anywhere and you can take further action with real-time tracking. Watch the following video demonstration for more details. Setting up and integration is a little time consuming but when it’s done, you can track your Mac seamlessly and can ensure that your devices are fully protected with security and locked when not in use. First things first, you have to download TrackMyMac from the App Store and MacKeeper from its official site for your MacBook. Then, you have to Sign Up and Register in the App to start tracking and reporting. 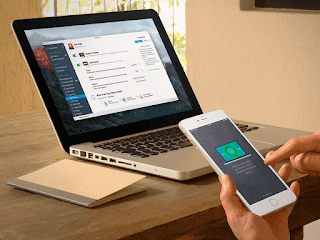 You also need to Sign Up in the MacKeeper Software that will connect your Mac to your iPhone. Further, you have to turn on the Geographical Location Services. Apparently, when the location tracker has been turned on with the internet connection, then the app automatically starts tracking the Mac and Voila! It’s Done. According to My opinion, Track My Mac is an excellent app when it comes to the security of your Mac. The App has high performance with exceptional reliability and user experience. All in All, if you frequently travel with your Mac or go into a lot of meeting, then you should download the app and start using, and it satisfies all your concerns related to security and exceeds user expectations. 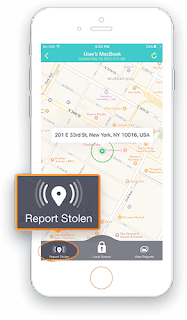 Download the App the app now and start to protect your Mac Devices with Theft and Track them with your mobile devices. TrackMyMac is free and is available for all the main Mac Devices. Also, MacKeeper is also free to download from the official site of the App and can quickly setup with your Mac Device.